I noticed a huge difference in the way I processed my surroundings. More About #1 – I’ve been pretty head-over-heels into the location independent lifestyle and long-term travelers who are living my dream: setting up their life on their terms, working from anywhere, going on adventures while building a business. This is so obviously my dream, that I forget that I’m not quite there yet. I’ve only quit my full-time corporate job less than a month ago and am trying to launch a location independent fashion design business with some stop-and-go results (or is it go-and-stop?). The point is – I’m always thinking I’m ten steps further ahead than I really am. More About #2 – I am SO aware when alone. I have full responsibility for my well-being. I am noticing that 10 foot wave crashing down the beach, and the gentleman approaching on horseback, while a woman pushes an ice cream cart past me, and a seagull is eating a discarded taco scrap near my feet. No one else is watching out for me so I am watching all sides. Instead of being distracting, I find that I am absorbing more. With the absence of conversation, I’m not just noticing but actually thinking through each occurrence and contemplating it. Being so used to a frantic, no-time-for-anything lifestyle, I like this. A lot. *I did get pretty lonely though. By the end of the second night, I was tired of eating meals out by myself while groups of friends talked and laughed around me. This could have been different if I stayed in a hostel or tried to get involved in social activities, but that wasn’t the case in these couple days. Can i just go back for a second and talk about my initial day of travel? -What if the cabbie at the airport wants to rip me off? -What if he doesn’t know where my hotel is (actual street addresses do not exist in this part of the world)? -What if I feel too unsafe to even go out after I get to the hotel? -Will I get hollered at by unsavory men? These are all things I’ve dealt with before, but dealing alone in a new place somehow felt new and scary. I was NOT going to let myself cower from this challenge though, so I charged ahead. The ironic thing is this – the things I worried about were SO easy. And some things I didn’t even ponder proved to be difficult. 1. 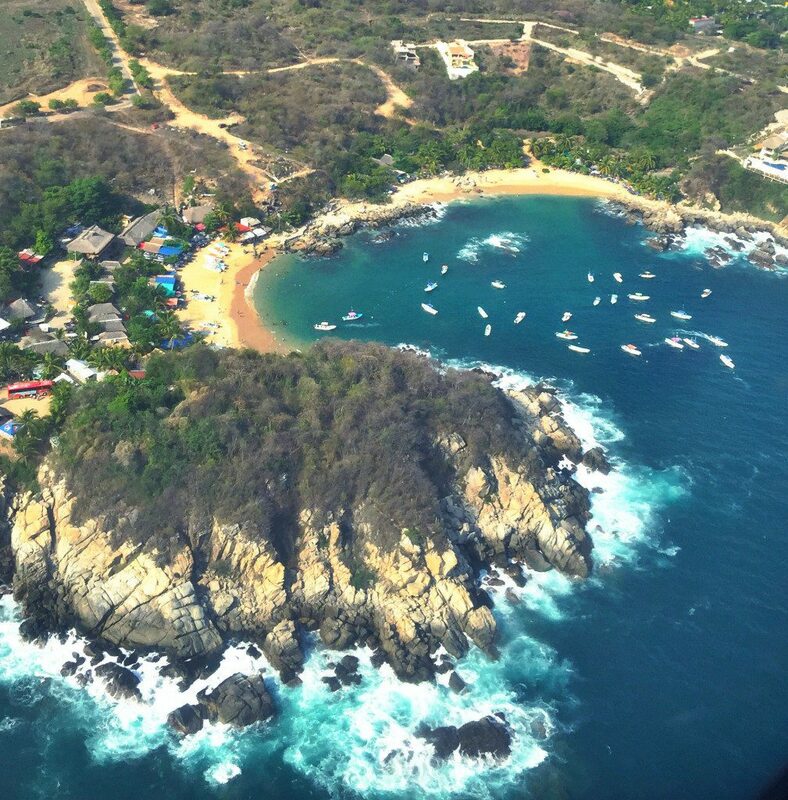 Cabbie ripping me off: Only one or two planes arrive in the Puerto Escondido airport each day. The transportation men are all out front in suits with clipboards. They thoroughly explained all the options and costs to me as soon as I asked without trying to sway me towards an expensive solo taxi ride. What?? No high pressure taxi sale? This was so new to me. I thanked them and took the 25 peso colectivo with almost every other person on the flight. We all chatted pleasantly, I arrived at my hotel door 10 minutes later and spent $1.64US. Holy sh#$! 2. Cabbie not knowing my hotel. The driver knew my hotel immediately. Enough said. 3. What if I don’t feel safe in this town? 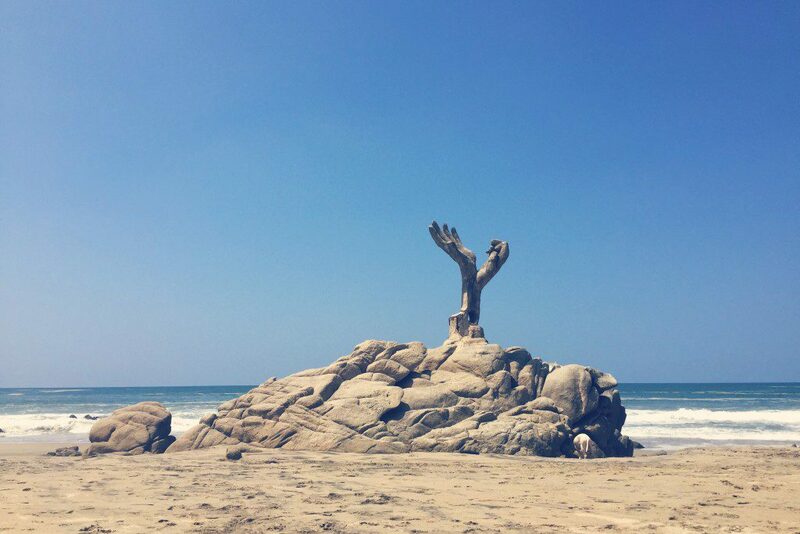 Puerto Escondido is so chill. Like seriously, everyone is really relaxed – locals, gringos, even the town weirdos and drunks aren’t trying to start trouble. This has to be the most relaxed town I’ve been to in Mexico/Central America. 1. Mexico City airport is confusing. I’ve been here before, but somehow didn’t have the same experience (another story). I had plenty of time, so I wasn’t sweating it too hard, but the signs were not adequate to explain where I needed to go (and I can read signs in Spanish just fine). I couldn’t figure out what part of the airport/which gate I needed. I had to ask two people, and then kept verifying with others since I was getting conflicting info. Then, the gate I was flying out of operated differently than I’ve seen before. It was for all the puddle-jumper domestic flights to small towns. There was a common area to wait (though small and unmarked) and you just wait to go downstairs and outside at the given time. Lesson 2 – Mexico City airport personnel are super nice. They smile and wish you a “Buen Dia”. They haven’t gotten the memo from the US that you have to be unpleasant to work in air travel. 2. I left my purse in a bathroom stall! The last time I did that, I was 21 years old and partying too hard. However, this time I placed my heavy purse on a back shelf behind the toilet (no hooks on the door), did my business, left the stall, washed my hands and turned to walk out before realizing it. I literally freaked out, started running back to the stalls, couldn’t remember which I was in – checked and didn’t see anything in the first couple stalls, then started yelling things in English to two really ambivalent looking Mexican girls at the sink. I was about to launch into a full blown panic attack (“I got robbed at the Mexico City airport! I left my purse unattended in Mexico City and it was swiped in 1 minute flat! !”), when I noticed a door closed. I pounded on it and began yelling again in English (too panicked to translate my thoughts). A really sweet young girl opened the door and handed me my untouched purse. I turned red, repeated “Muchas Gracias” five times and then sheepishly walked out. Lesson 1 – Susan, please always keep track of your purse that has your passport, money and tickets! Lesson 2 – Mexico City is a nice place. People are generally nice. Take a deep breath, don’t panic. Of course, any of these circumstances could flip-flop, depending on where you go and when, but the point is – DON’T waste time worrying about what could happen. Seriously, it’s a waste of energy. Chances are, things will not go the way you’re afraid they will. Do (at least) the minimum amount of research needed for your destination. Know the general vibe, facts, and safety concerns for where you’re going. Plan your transportation from the airport (or initial arrival). Book at least your first night’s stay. You can get settled and give yourself the night/next morning to figure out your next move. 6. Let it happen! You can’t prepare for everything. And half the adventure is the figuring it out anyway. Next up – my husband arrives. Couples exploring! 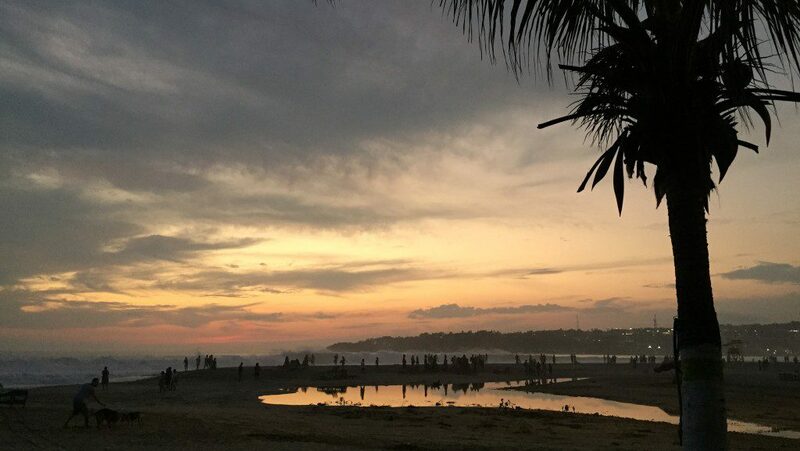 Then – two great friends I haven’t seen in years are arriving and spending a few days with us in Puerto Escondido and Oaxaca. I’m interested to see how these three very different styles of travel (solo, couple, group) will compare. Maybe a post to follow?